KIMBILÁ, Mexico, Feb 17 2017 (IPS) - The growing number of wind and solar power projects in the southern Mexican state of Yucatán are part of a positive change in Mexico’s energy mix. But affected communities do not see it in the same way, due to the fact that they are not informed or consulted, and because of how the phenomenon changes their lives. “We have no information. We have some doubts, some people say it’s good and some say it’s bad. We have heard what is said in other states,” small farmer Luis Miguel, a Mayan Indian, told IPS. He lives in Kimbilá, a town in the municipality of Izmal, which is the site of an up-to-now failed private wind power venture that has been blocked by opposition from the area’s 3,600 inhabitants and in particular from the ejido or communal land where the wind farm was to be installed. 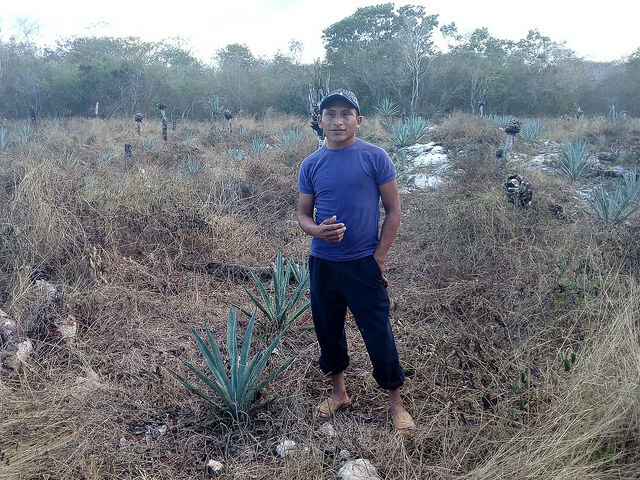 “We fear that they will damage our crops,” said Miguel, whose father is one of the 573 members of the Kimbilá ejido, located in the Yucatán Peninsula, 1,350 km southeast of Mexico City. The questioned project, run by the Spanish company Elecnor, includes the installation of 50 wind turbines with a capacity of 159 MW per year. The company installed an anemometric tower in 2014, but the local population, who grow maize and garden vegetables, raise small livestock and produce honey for a living, did not find out about the project until January 2016. Since then, the ejido has held two assemblies and cancelled another, without reaching an agreement to approve a 25-year lease on the lands needed for the wind farm. Meanwhile, in February 2016, the members of the ejido filed a complaint against the Procuraduría Agraria – the federal agency in charge of protecting rural land – accusing it of defending the interests of the company by promoting community assemblies that were against the law. The wind farm is to have an operating life of 30 years, including the preparatory phase, construction and operation, and it needs 77 hectares of the 5,000 in the ejido. The company offered between five and 970 dollars per hectare, depending on the utility of the land for a wind farm, a proposition that caused unrest among the ejido members. It would also give them 1.3 per cent of the turnover for the power generated. But the electricity would not be used to meet local demand. “We haven’t been given any information. This is not in the best interests of those who work the land. They are going to destroy the vegetation and 30 years is a long time,” beekeeper Victoriano Canmex told IPS. This indigenous member of the ejido expressed his concern over the potential harm to the bees, “because new roadswould be opened with heavy machinery. They said that they would relocate the apiaries but they know nothing about beekeeping. It’s not fair, we are going to be left with nothing,” he said. Canmex, who has eight apiaries,checks the beehives twice a week, together with four of his six children. He collects about 25 30-kg barrels of honey, which ends up on European tables. Yucatan honey is highly appreciated in the world, for its quality and organic nature. Yucatán, part of the ancient Mayan empire, where a large part of the population is still indigenous, has become a new energy frontier in Mexico, due to its great potential in wind and solar power. This state adopted the goal of using 9.3 per cent non-conventional renewable energies by 2018. In Yucatán, the incorporation per year of new generation capacity should total 1,408 MW by 2030. Leaving out the big hydropower plants, other renewable sources account for just eight per cent of the electricity produced in Mexico. According to official figures, in December 2016, hydropower had an installed capacity of 12,092 MW, geothermal 873 MW, wind power 699 MW, and photovoltaic solar power, six MW. 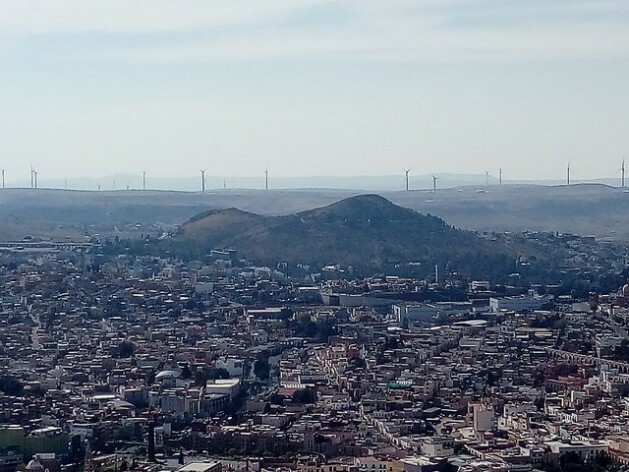 According to the Mexican Wind Energy Association, which represents the industry, in Mexico there are at least 31 wind farms located in nine states, with a total installed capacity of 3,527 MW of clean energy for the northeast, west, south and southeast regions of this country of 122 million people. Besides the lack of information, and of free, prior and informed consent, as the law and international conventions require, indigenous people complain about impacts on migratory birds, rise in temperatures in areas with solar panels and water pollution caused by leaks from wind towers. For Romel González, a member of the non-governmental Regional Indigenous and Popular Council of Xpujil, a town in the neighboring state of Campeche, the process of energy development has legal loopholes that have to do with superficial contracts and environmental impact studies. “There is a lack of information for the communities, who don’t know the scope of the contracts; (the companies and authorities) don’t explain to them the problems that are going to arise. Conflicts are generated, and manipulation is used to get the permits. Social engineering is used to divide the communities,” González told IPS. He said that in the region, there are “previously untapped” natural resources that are attracting attention from those interested in stripping the communities of these resources. The state is experiencing a clean energy boom, with plans for five solar plants, with a total capacity of 536 MW, and five wind farms, with a combined capacity of 256 MW. The concessions for the projects, which are to operate until 2030, have already been awarded to local and foreign companies. In the first national power generation auction organised by the government in March 2016, four wind power and five solar power projects won, while in the second one, the following September, two new wind projects were chosen. The change in the electricity mix is based on Mexico’s energy reform, in force since August 2014, which opened the industry to national and international private capital. Local authorities project that by 2018, wind power generation will amount to 6,099 MW, including 478 from Yucatán, with the total increasing two years later to 12,823 MW, including 2,227 MW from this state. Yucatán will draw a projected 52 million dollars in investment to this end in 2017 and 1.58 billion in 2018. The Electricity Industry Law, in effect since 2014, stipulates that each project requires a social impact assessment. But opponents of the wind power projects have no knowledge of any assessment carried out in the state, while there is only evidence of two public consultations with affected communities, in the case of two wind farms. “The electricity will not be for us and we don’t know what will happen later (once the wind farm is installed). That is why we have our doubts,” said Miguel. People in Yucatán do not want to replicate the “Oaxaca model”. That is the southern state which has the largest number of wind farms, which have drawn many accusations of unfair treatment, land dispossession and lack of free, prior and informed consent. “The authorities want to do this by all means, they are just trying to get these projects approved,” said Canmex. González criticised the government for failing to require assessments. “We have asked for them and the government has responded that there aren’t any. The community response to the projects will depend on their level of awareness and social organisation. Some communities will react too late, when the project is already underway,” he said.